I read this article and found it very interesting, thought it might be something for you. 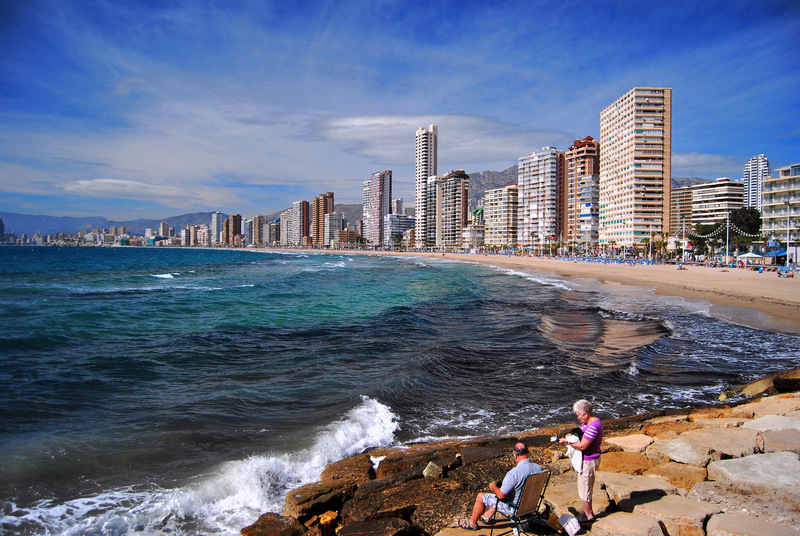 The article is called 44 All World Heritage to Check in Spain and is located at http://trip-n-travel.com/listicle/21647/. 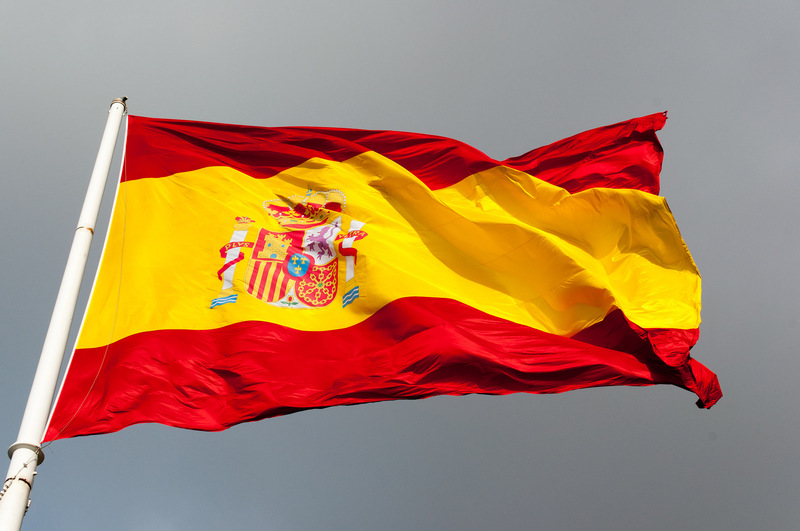 Spain is the largest country in Europe and famous for the variety of the culture, climate, and geography. You can see the fascinating sites at any time of year, such as the architectural and cultural places around the country. In this article, you can find all World Heritage to visit in Spain. The Alhambra, Generalife, and Albayzin in Granda are outstanding representations of Moorish Spain. The Alhambra, or the Red Fortress, is a fortress and palace complex, first started during the 9th century. The Generalife stays in the east of the Alhambra. It was the country estate and summer palace, built in the early 14th century. The Albayzin is the old residential neighborhood, opposite to the Alhambra. Its design has the influence on Andalusian and Moorish style. Antequera Dolmens locates in the center of Andalusia in the south of Spain, consisting three megalithic monuments, the Tolos of El Romeral, the Viera, and Menga dolmens, and two natural monuments, the Pena de los Enamorados and El Torcal Mountainous formations. These monuments were built in the Bronze Age and Neolithic with large stone blocks, chambers with false arches or horizontal roofs. Those three tombs are some of the best outstanding architectural pieces of European prehistory and Megalithism. The Aranjuez is a combination of complex relationships, between human activity and nature, line design and twisted watercourses, the urban and the rural, the modulated architecture and forest landscape. Moreover, it has the influence of both the French style Baroque garden and the nature in the Age of Enlightenment. After three hundred years of the attention, care, and development, it offers an evolution from the political centralization and humanism. The colony of Augusta Emerita currently becomes Merida in Estremadura. In 25 B.C, it was the capital of Lusitania when the Spanish Campaign finished. The greatest remains include a bridge across the Guadiana, an open-air theater, a theater, a giant circus and a water supply system. It also has the excellent architecture likely to the provincial Roman Capital of the Empire. Tarraco was the main official and commercial city in Roman Spain as well as the center of the Royal devotion for citizens in the Iberian Provinces. It includes many beautiful buildings, some of which have been found in significant excavations. Other remains are fragmentary you can see the history of this Roman provincial capital. The caves of Atapuerca include high remains of the ancient people in Europe, from around one million years ago and expanding to the Common Era. They express a great amount of data and scientific study which you can find priceless information about the lifestyle and appearance of the remote human ancestors. The Cathedral of Saint Mary of Burgos is a Catholic church lies in Burgos, Spain. It dated from the 13th century and was dedicated to the Virgin Mary. When visiting this cathedral, you can learn the history of Gothic art through many pieces, such as the architecture, paintings, choir stalls, tombs, stained-glass windows, and ornamental screens. The Churches of the Vall de Boi are a collection of nine Early Romanesque churches and stayed in the Vall de Boi in Lleida. Those churches are declared World Heritage Site by UNESCO and contain many precious pictures, statues, and the unique architecture. The surroundings are sharp mountains, higher slopes, and enclosed fields. These three buildings link together into a remarkable monumental complex in the center of Seville. The Alcazar and the cathedral were started in nearly 1248 and finished until the 16th century. The ancient Lonja became the Archivo de Indias. They have the influence on the Moorish style and are a declaration to the citizens of the Almohads and Christian Andalusia. Those three buildings store valuable collections and documents of Christopher Columbus. His tomb stays in the Cathedral. The Cave of Altamira and Paleolithic Cave Art of Northern Spain is the way to talk about 18 caves in different areas of the north of Spain. They are a representation of the highest point of Paleolithic cave art in Europe from 35,000 to 11,000 B.C. The best outstanding cave of those is Altamira, which contains one of the best remarkable painting periods of prehistory. The mountain ranges from the southwest to northeast and forms the backbone of the north Spain in Mallorca Island. The weather is not good with wet and cool days because of the height. The best time to visit is June when you can see a famous nature reserve, the forest cover, and species of plant and animal. Moreover, you can see dry stone buildings, agriculture terraces, and water works. The property consists two mercury mining sites, which was the principal trades of America and Europe. You can learn the mining history, tour the underground, and see the 18th-century dwellings in the Mining Park. The surroundings are impressive with a valley, green mountains, a river and streams through the town. 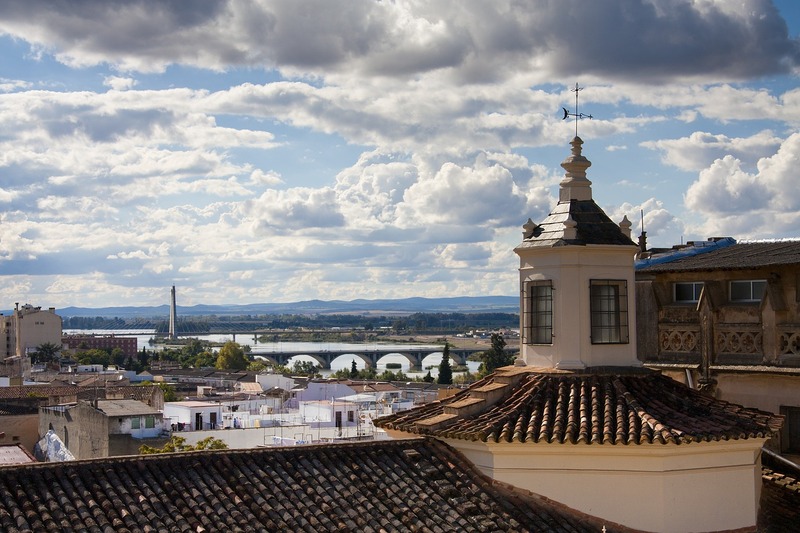 To learn the history of Spain, you should visit the largest historic center of Cordoba which holds monuments of the Roman, Christian, and Arabic periods. Besides the extensive library, you can walk along the narrow winding streets to see unique buildings, palaces, churches, a fortress, and 300 mosques. Toledo locates on a mountain near the Tagus River and contains historical sites; the famous ones are the cathedral, the Alcazar, the Zocodover, and a central market. Besides that, the city is known for the religious monuments that kept in good conditions. If you love walking, you can visit two notable bridges: Alcantara and San Martin. The fortress town Cuenca includes impressive constructions and natural landscapes. You can start the trip by seeing the Gothic cathedral in the center, then walk along the bridge near the gorge. You’ll enjoy the great views of hanging houses and nature. After that, you can go to the east and see beautiful valleys and waterfalls. When talking about Valencia, Spain, you should remember the principal tourist attraction, La Lonja de la Seda. This group of buildings has another name “Silk Exchange” which was the center of commerce and the late-Gothic-style masterpiece. La Lonja has three parts with the Orange Garden and a walled courtyard. During the tour, you will see the original furnishings at rooms. Romans start gold mining in a landscape Las Medulas. You have to climb a hill to view the mining area which stays between chestnut trees, berries and flowers. However, the mine looks small about 10 square km, as a result of erosion. After finishing a hike, you can drive down to the village of Las Medulas. You have to walk in the community since only locals can drive inside. 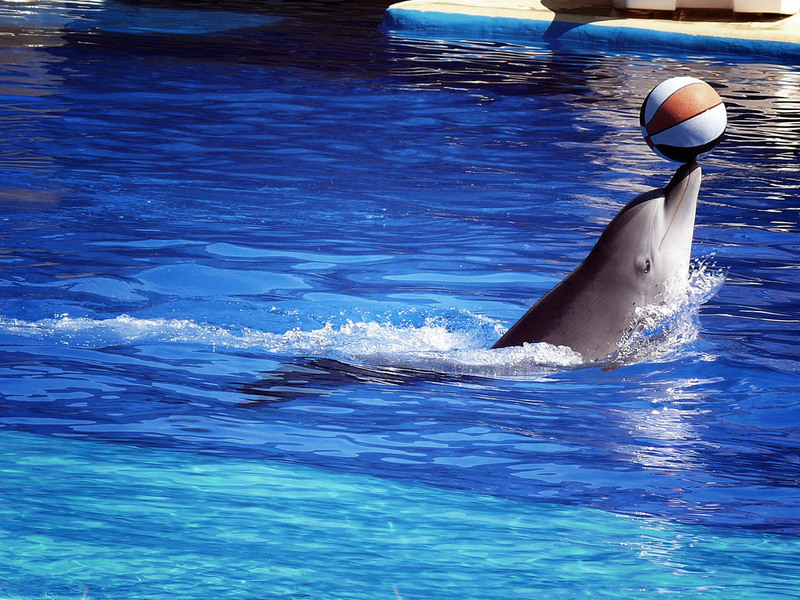 Some reviewers stated that visitors might get allowance during the time out of season. Nevertheless, to join a tour, you have to walk. The famous architect Juan Bautista de Toledo built the Escurial from 1563 to 1584. The complex includes a basilica, monastery, library, mausoleum, and a royal palace. You’ll find it at the center of the city San Lorenzo de El Escorial, which is large enough to guild you in the right direction from far away. During the tour, you should notify the mausoleum for Spanish royal family and the Pantheon de los Reyes. Oviedo’s monuments and Asturias’s Kingdom are six pre-Romanesque churches starting from the 9th century and staying in the rare northern Cantabrian Mountains. You can go to these small, poor villages by car to see churches holding the history of Asturian architecture. Though, you have to spend a small fee to entry except on Monday. Besides that, you will find beautiful mountains, trees, and pleasant paths through fields. Mudejar is Iberian styles and decorations influencing on the Moorish workmanship and taste. 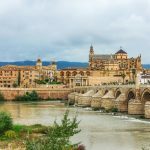 When you want to learn the Mudejar Architecture of Aragon, you can visit ten famous buildings in Teruel and Zaragoza, Spain. Those works dated from the 12th to the 16th century and looked like the bell towers whose materials are bricks, wooden ceilings, and glazed tiles. From Valencia Airport, you’ll see many towns with the constructions like bell towers. Binoculars are necessary to see them clearly from far away. Besides that, you can take beautiful photos in these areas. Salamanca is attractive as an old university city with Churrigueresque buildings. It lies in the center of Spain, near Madrid and includes two universities, two cathedrals, a huge Plaza Mayor. The last building is an excellent work in baroque architecture and impressive arches in the 18th century. Besides that, you can visit the 15th-century construction, the Mansion Casa de las Conchas, whose exterior consists of 350 shells. To end a perfect day, you should eat dinner in restaurants around the Plaza, enjoy the local foods and drinks, watch locals and visitors passing by, and take photos of beautiful night scenes. Avila is known for its oldest walls in Spain, which date from 1090, long about 2,5 km with six gates and 88 towers. The town stays at the highest distance above sea level, so the climate is cold. It has the favorite old scenes because of old buildings, churches, and religious remains during the Romanesque period, Renaissance palaces, and Castilian nobility’s mansions. The most impressive thing is walking on the city walls where you can see the town’s old beauty. Vizcaya is the oldest hanging bridge in the world. It dates from 1893 and links the towns of Las Arenas and Portugalete, crossing the Nervion River’s mouth. This iron bridge uses twisted steel cables to transport six cars and dozens of passengers at one time. It still operates every eight minutes during a day all year round. You have to pay a ticket for 5 Euro to the lift, and it’s hard to find a parking spot here. Although the bridge keeps attracting your view, you can feel scared when seeing from the ground. Because the work is open, you can see everything, the depth, and height, but when standing on the top, you will have the greatest views of the old town. Caceres is a famous old town for the 12th-century Arab city walls. Today, it includes an architecture mix of Northern Gothic, Islamic, Roman, and Italian Renaissance designs. The modern city becomes a disordering and busy place with 90.000 inhabitants. From the Plaza Mayor, you will have the great views of the towers, walls, and gates of Caceres. Then, you can climb the famous tower Torre del Bujaco and get an overview of the historic center, where storks love for nesting. Segovia is the lovely old town with a friendly atmosphere. The greatest time may be every night when locals stroll on ancient streets. The most famous site is the city aqueduct which is enormous and significant. It dates from the first century A.D and is an underground channel consisting of 20.000 granite blocks. In the past, it supported water for the Roman military headquarters in the town’s upper part, but today, it supplied water to the Alcazar. Hospital de Sant Pau is a working hospital and also the most impressive architecture in Barcelona. You’re free to visit the grounds where the patients can rest in pleasant surroundings. The Palau de la Musica Catalana stays in Barcelona’s center. You can only access through a guided tour. Firstly, you will see a video of the Palau’s origins; then you can walk to the main theater through the grand stairs. The Palmeral of Elche is a large oasis holding more than 11,000 palm trees, transferred from North Africa. This landscape dating over one thousand years ago includes 67 different palm groves, thousands of palm trees, and some of those are 300 years old. The surroundings are like a desert, but the smart watering system and locals’ unique techniques keep it bloom. Poblet Monastery was the first abbey including the Cistercian triangle in the Catalonia region and is the biggest and greatest Cistercian monastery in Spain today. It combines designs from Gothic to Romanesque architectures during the 12th and the 14th centuries. The site has three main gates, different old churches, the main square, a small hospital, the Plaza Mayor, statues of saints, and many famous artists’ works. The Ancient Rock Art Sites extend across the border of Portugal and Spain a few miles apart. The Côa Valley holds five thousand pictures of animals during 22,000 and 8,000 BCE, while Siega Verda contains other 440 images. The painting was unique and kept in good conditions, thanks to different techniques in the centuries. Pictures are various in themes, styles, and subjects such as bridges, landscapes, aircraft, boats, animals. The oldest and greatest Italian Renaissance work is Monumental Ensembles of Ubeda and Baeza in Spain. Those Andalusian towns developed in the 16th century and were outstanding for Renaissance buildings. Firstly, you should visit Baeza, the little town with Renaissance constructions amidst modern buildings in the city center. Ubeda, the bigger city, is your next visit. The highlight is the favorite Vazquez de Molina Square where palaces and statues locate. Besides that, you can also stay in old buildings using as a hotel today. The Mediterranean Basin owns a unique rock-art tradition with 758 old sites in eastern Spain. The first paintings were in the period 8000 to 3500 B.C. They consist different subjects, such as hunting scenes, mythology, female figures, ornaments, funerary rites, and clothing, but they are quite small. You’ll find them in a protected zone after climbing through red rocks, maritime pines, and messy paths. The city walls are about two thousand years old, kept in excellent conditions. The materials include slate stones, lime mortar, sand and gravel, and granite, especially for doors. When you see the massive and hard work, you will find seventy-one beautiful towers, sixty of which are circular and eleven are square. It were two thousand two hundred meters long and took about half a century to finish. You can walk on the top to see beautiful views of the old city. The route is the Christian religious trip to the Cathedral of Santiago de Compostela. The start is the French-Spanish border, and you can see about 1800 historic buildings during the tour. It has another name “the Way of Sant James” since the religious travelers’ goat is visiting his tomb at the finish spot, the Santiago Cathedral. The buildings you will walk through are monasteries, churches, cathedrals, inns, hospitals and public constructions in 166 villages and towns. The Santa Maria Monastery of Guadalupe was the most important monastery in Spain for over four centuries. It becomes a high symbolic value, linking the Granda Conquest and the New World Discovery in 1942. You can find it, a massive and noticeable building in the small town square. You have to pay a fee to join a guided tour, which gives you the useful details but quite annoying. The city is the famous tourist destination of Tenerife because of the near perfect climate as well as the crossroads of the New World and Europe. Naturalists and historians come here to study the past, landscape, and culture. Today, La Laguna still keep a beautiful and ancient surroundings in right conditions. The old streets are straight with houses including the roof tiles, baroque domes, and Gothic spires. Moreover, colonial mansions represent for the wealthy nationalities, such as Castilian, British, French, Portuguese, Flemish, and Italian. The twin monasteries stay in San Millan de la Cogolla in La Rioja. Suso is older than Yuso and is the place where Basque and Spanish languages firstly appeared in writing. Suso means upper while Yuso stands for below. The tour of Yuso takes one hour, you can walk through all the principal rooms and see specific paintings, frescoes, furniture, and a golden altar. Then, you can visit Suso in the uphill by bus. It has one tiny room, and nothing is inside except for graves. However, the landscapes outside the building are impressive. Santiago de Compostela is the important city center in the world. It was reconstructed in the 11th century with the surrounding spectacular cathedrals. Along the old streets, you will see Baroque, Romanesque, and Gothic works, which are the most important points of the city’s unique atmosphere. 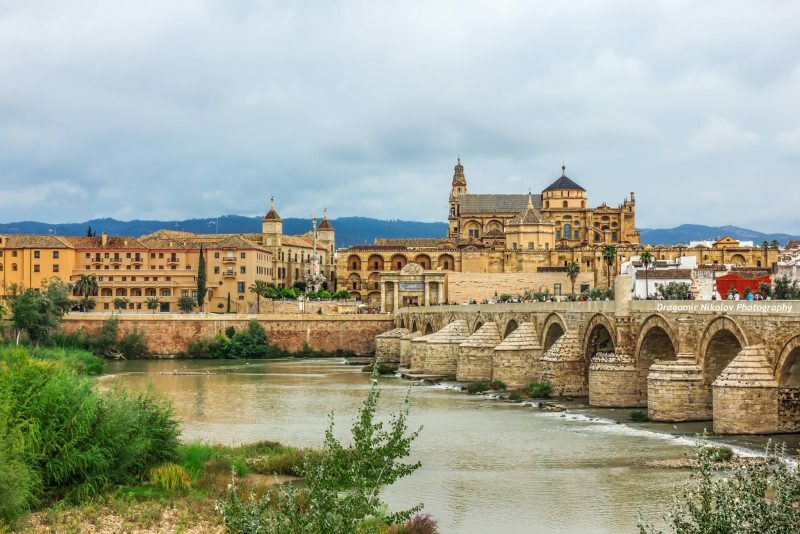 In the areas nearby, you can find World Heritage sites, such as the Pyrenees, Las Medulas, Segovia and Avila, the old city Salamanca, the Hercules Tower, and the Mudejar art of Aragon. The Hercules Tower is a Roman lighthouse, which is still active today. The reconstruction was finished in the 18th century, following the neo-classical style. It’s 55 meters high and stays at the north Atlantic coast of Spain. To visit the inside tower, you have to pay a fee about 2.5 euros. During climbing to the top, you will see remains of the original Roman lighthouse, which is inside the larger current structure. The stairs are safe and comfortable to step on, and you can rest at ample places. Alcala de Henares was the first city in the world with the aim of learning during the Renaissance, which was the concept of the ideal city. As the university town, the atmosphere is noticeable and friendly. You will find lots of young people on streets, small budget restaurants, and interesting museums around the center. However, if you love historic buildings, you should join a tour or bring a map since boring features somewhat hide the old works. Gaudi’s works represent the Modernist architect during the late 19th century to early 20th century. Antoni Gaudi was born in 1852 and passed away 74 years later in Barcelona. The Guell Family gave him freedom in work and supported him with money. You can see his monuments in Barcelona, especially the Sagrada Familia. It has taken on speed, but you can see new details of the exterior and interior. Another favorite site is Park Guell where you can walk around or sit on old benches to see plants. The third one you should visit is Casa Battlo. It’s the unusual modernist house staying in the city center, where you can see 16 rooms with an audioguide. Mont-Perdu is a group of limestone mountains which extends over the French-Spanish borders and is a part of the Pyrenees Mountains. You can discover the Mont-Perdu region through automobile in Pyrenees National Park. However, hiking is a better choice if you want a closer look at the area. In case you love leisurely strolling, you can start from Cauterets to the Gaube Lake. You can also choose a chairlift from Pont d’Espagne if you don’t like physical activities. In winter, the site offers rooms for skiing. Donana National Park is a coastal reserve at the Guadalquivir Delta, which holds migrating birds. There are 360 species of birds from Africa and over 500.000 wintering waterfowl. Moreover, the park is also a habitat of white-headed duck, marbled teal, Adalbert’s eagle, and Spanish lynx. To have a great day, you should join a tour to know the best spots for bird watching. In addition to animals, you can also see beautiful species of lavender and rosemary. Garajonay National Park holds the best humid subtropical forest in Europe. It stays in the central and northern La Gomera island of the Canary Islands. The forest is 40 meters tall and contains evergreen hardwood trees, lower plants, invertebrates, bats, and birds. The Mountain is also a favorite tourist spot where you can view the surrounding islands including Gran Canaria and Tenerife. Teide National Park consists the two large volcanic landscapes of Pico Viejo and Teide, Las Canadas Caldera and other volcanic features. The volcanic site stands out due to the age, complexity, size, depth of study, and relevance to science. It’s the highest mountain in Spain and the third largest volcano in the world. From the plane approaching Tenerife Norte Airport, you can have excellent views of this place. Whether you visit the large cities of Madrid and Barcelona, or you go to the small towns, you will satisfy with destinations in Spain. In addition to the tourist spots, you can enjoy local foods and drinks, and spend time in comfortable accommodations around the country.